Photo by Bryan Weismiller. David Hall works the console as a live-to-air broadcast takes place. Nathan Greener, station manager, said the program has very advanced radio equipment. A name can be a powerful thing. It’s what carries your brand forward, it’s how people identify your organization and when a company changes its name, it is not a decision that’s made lightly. So now that Mount Royal’s CMRC radio has decided to move forward with its name change, they’re taking steps to make sure it launches with a bit of fanfare. On March 15, the broadcasting program will officially unveil “The Shift” as the new name for their online radio station. They will commemorate the day by doing live hits from Main Street, where they will interview students about the new name and take song requests. The name was chosen through an internal vote within the broadcasting program, and will replace CMRC, the station’s call letters, which stood for Community Minded Radio Calgary, as well as celebrate the 50th year of the broadcasting program. 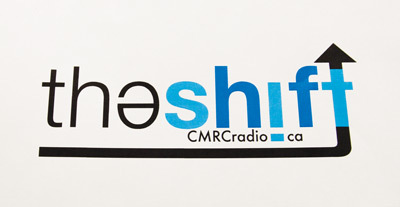 The Shift also launches with a new logo, integrated with Mount Royal’s emblem using shades of blue and a whole new typography and style to go with it, courtesy of MRU information design students who produced a number of potential logos. It is the first major change to the station’s name since it was called CMRC – The Edge, a name that faded with time. The name itself represents something different to different people. Nathan Greener, station manager, sees the name as a symbol of growth within the broadcasting program, representing the devices they use and the people who operate them. Corey Hales, an alumnus of the broadcasting program, said the name feels appropriate because it mirrors the format of the station. People go in for shifts, do their show and then it moves onto someone new who may have a completely different taste in music or may even be hosting something entirely different, like a talk show. 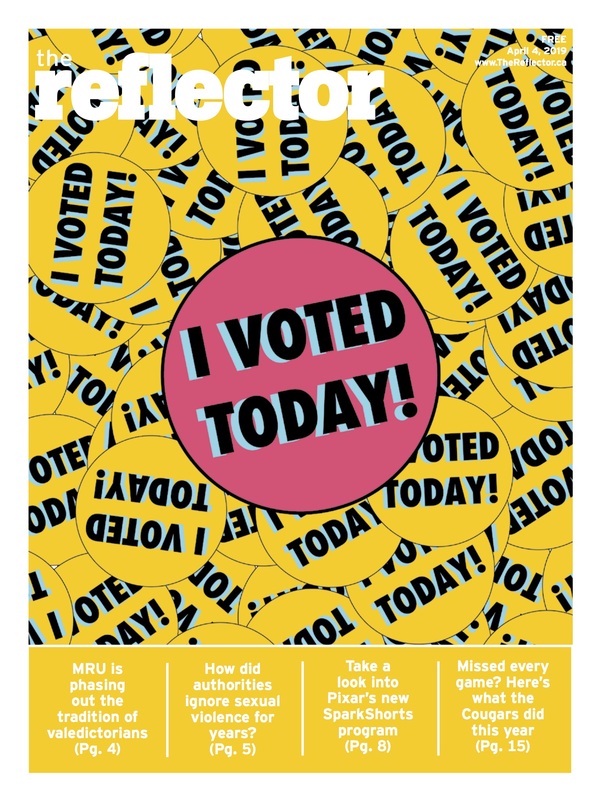 It’s up to the students to decide what to do with their timeslot. Sibyl Bigler, who graduated from the program last year, said the name gave an impression of something larger than just the broadcasting program. But both Bigler and Hales said just changing the name won’t create interest from the student body. “It could (draw more listeners), but at the same time, I don’t know how many people were even aware that you could even listen to CMRC as it was,” said Hales. As station manager, and being in his final year of the broadcasting program, Greener recognizes that most of the show’s listeners are friends and family of the students, but with the name change he hopes to do some advertising around the school. Rejected names included the lead runner-up Royal Radio, as well as The Vox, The Surge, Flux Radio and Radio Slave. For those new to the station, Greener suggested that Tuesday nights are an easy place to jump in. Starting at six in the evening, hosts on The Pulse talk about current campus events for half an hour, featuring guests such as Reflector editors. After that comes Not So Round Table, a freeform talk show, and then a sports talk show. What will be happening to the old library?